What a tragedy Mahinda has bound himself in! Mahinda has forgotten the days when he stood up against disappearances and worked to give voice to the pain and anguish of the families of the Missing. 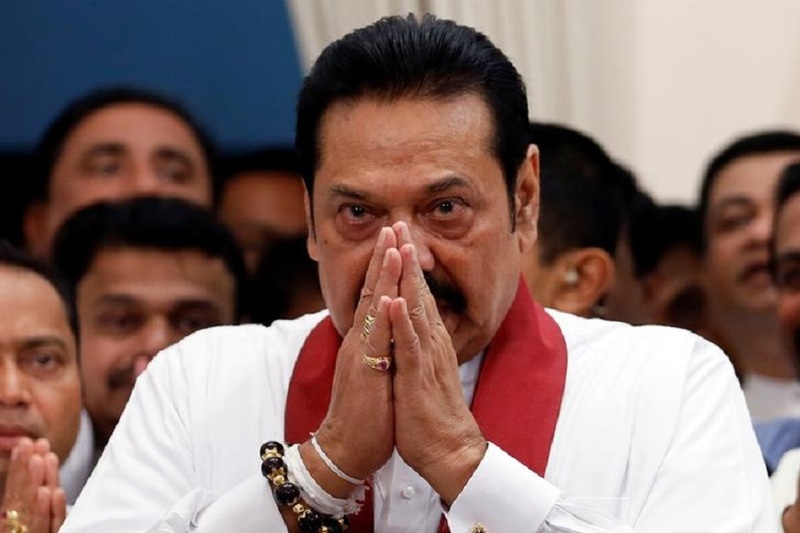 Member of Parliament from Kurunegala and current Leader of Opposition Mahinda Rajapaksa has published a statement on 17 March 2019 instructing the government of Sri Lanka on what its position should be when the UN Human Rights Council that is at present meeting in Genevadiscusses Sri Lanka’s progress on national reconciliation. In his statement, as usual aimed at hoodwinking the masses, he assumes a commanding and almost martial tone. Packing it with misinformation to mislead the public, he seems toforget the small detail that he is no longer the President or even the Prime Minister of Sri Lanka – fake or otherwise. As the citizens of our country – Asia’s oldest democracy – remember very well, Mahinda Rajapaksa’s attempts to usurp the position of Prime Minister a few months ago failed miserably in the face of the determined resistance of our citizens and our independent institutions including our judiciary.My recommendation to Mahinda would be, in true friendship:lets put aside the airs. It really is impossible to engage in constructive dialogue if you give instructions and orders on policy to a government that is trying very hard to fix the several troubles that you yourself, your close advisorsand those you appointed to high positions during your time as President created, especially since the conclusion of the conflict in May 2009. What Mahinda says isfalse. There is no resolution “against” Sri Lanka, and there has been no resolution “against” Sri Lanka since 2015. In 2009, the Mahinda Rajapaksa Government spearheaded a resolution in the Human Rights Council calling it a ‘victory resolution’ and got it adopted by a division in the Council. The Rajapaksa Government included in that Resolution, the Joint Statement between the Government and the United Nations that was adopted during UN Secretary-General Ban Ki-moon’s visit and also commitment to the implementation of the 13th Amendment to the Constitution. Non-implementation of this resolution adopted by a vote led to a series of resolutions which the Mahinda Rajapaksa Government claimed to boycott but could not stop from being adopted. Finally, in March 2014, this led to the Human Rights Council adopting a resolution setting up the first known international investigation on Sri Lanka which is called the OHCHR Investigation on Sri Lanka (OISL). Sri Lanka was cornered internationally and was in a pitiable state. Mahinda’s Government put all his eggs in one basket in terms of our economy, borrowing at commercial rates and not being able to repay them. Our military which Mahinda claims to be the guardian of, was losing heavily as they were deprived of military-to-military cooperation with the countries which have the most advanced militaries in the world. They were deprived of training opportunities, participation in UN peacekeeping, and in joint exercises. After Mahinda’s defeat at the election on 08 January 2015, the new Government managed to reassert Sri Lanka’s sovereignty and regain Sri Lanka’s independent right to take charge of discharging the responsibilities of the Government towards its own citizens. As a result of taking charge of handling our own problems ourselves in consultation with all our own citizens, international action that would have followed as a result of the OHCHR Investigation on Sri Lanka that was established under Mahinda’s regime in March 2014 ceased. As a result of Sri Lanka taking charge of discharging its own responsibilities towards its own citizens, international efforts became focused thereafter on support for Sri Lanka’s efforts. Contrary to Mahinda’s narrative, there are no resolutions AGAINST Sri Lanka in the Human Rights Council anymore. The resolutions since 2015are to work together with our partner nations in the world so that our citizens benefit from the best expertise in the world, and we work with all our citizens to set up processes that would help us put behind decades of distrust, violence and impunity and promote, protect and advance the human rights of all our citizens. I urge you to pause to think a little. If this resolution that Mahinda speaks of is AGAINST Sri Lanka – then there should be strictures on Sri Lanka through the resolution, or an investigation established as in March 2014 when Mahinda was President, or there should be sanctions. The resolutions from 2015, on the contrary, do no such thing. They have instead been the basis to secure economic benefits for all our citizens both in the short-term as well as in the long-term. They have been the basis for re-establishing and renewing trust and confidence of our own citizens. They have been the basis for establishing engagement with the international community to benefit our citizens, our administrators, our prosecutors, our forensic experts and our security forces with greater opportunities overall. They have been the basis for the doors of opportunity being open to us to develop Sri Lanka as a hub in the Indian Ocean and pursue a prosperous future for all. Mahinda says that if a criminal taking illegal advantage of an official position abducts and kills a citizen, the law must be forbidden to investigate such a crime? What kind of rule-of-law would exist in our country if inquiries on abuse of power were stopped on the grounds of official secrets? The notion of an “official secret” can only apply to legitimate national security concerns. Since when would finding the fate of a missing soldier be a violation of our national security? In what way is our national defense affected by families including the families of missing soldiers finally exercising the right to hold a dignified funeral for their loved ones? Mahinda alleges that The Prevention of Enforced Disappearances Act enables an alleged enforced disappearance in Sri Lanka to be investigated and prosecuted in a foreign country as if it was an offence committed in that country. Mahinda appears unware thatany country in the world can already investigate and prosecute disappearances and other war crimes alleged to have taken place in any other country in the world, because most countries in the world today have already signed treaties to deny safe haven to war criminals!This is a right that those countries already have which is not determined by whether Sri Lanka accedes to the convention or not. Therefore, our accession to the International Convention Against Enforced Disappearances does not give other countries a right they already have. That is why, in September 2018,Germany charged an ex-LTTE member residing in that country, with war crimes committed against 16 of our brave soldiers. I wonder whether Mahinda has not heard about that case. Of course Mahinda has heard of it, but he hides it and chooses not to mention it in his statement or in any of his speeches because it disrupts hisfalse narrative of international justice aiding terrorism. International justice is activated when national justice fails to act. It was Chile’s lack of action against General Augusto Pinochet which prompted Spain and the UK to arrest him in 1998 and determine his need to appear before justice.This process has not stopped. There are hundreds of universal jurisdiction cases open in the present day, everywhere in the world. These cases could well work against alleged criminals who might travel outside their safe havens to spend their ill-gotten fortunes. Apart from criminalizing Enforced Disappearance with a view to preventing our citizens from ever going missing again like they did for several decades in our country irrespective of ethnicity, language, geographic location, religion or gender, what the Prevention of Enforced Disappearances Act does is to enable us to act on those crimes, so we assert our jurisdiction. In fact, the Act even gives us, Sri Lankans, the capacity to investigate and prosecute disappearances happening in any other country in the world, in case future Pinochets try to spend their time in our beautiful island home. I’m sure this happens to all of us. We all fall asleep in the middle of a movie sometimes, and when we wake up, for a moment we can’t understand what is going on in the movie. I think this is what has happened to Mahinda. But without admitting it, he wants to try to tell our citizens that he knows the plot. The High Commissioner for Human Rights, as a result of the acts and omissions of Mahinda’s regime of impunity, holds the view that Sri Lanka’s judicial system has not made necessary progress. Therefore, the High Commissioner notes that any state can investigate war crimes in Sri Lanka, but this is IF and ONLY IF we don’t do it ourselves! But Mahindaignores the first part of the movie (the inaction which his regime is responsible for) and he goes on to tell the story leaving out a crucial part. As a nation responsible to all our citizens including our military personnel and policemen, we should not fail in our commitment as a sovereign, independent, democratic state to investigate the several emblematic cases of human rights violations currently in our legal system. We must set up a system to investigate and deal with allegations of human rights violations. If we fail to do this, we place our citizens in grave peril because the message we will be sending out to the world will be that we are unable or unwilling to do our job. If we fail to deal with our issues ourselves, then others will step in. This is rich, comingfrom the same person saying that future mechanisms to deal with human rights violations should not have the support of international experts! Mahinda claims he is the one and only protector of sovereignty and yet findssafety behind the robes of British lords and the whips of British colonels! No, Mahinda: we will never fall for this undignified maneuver. Global expertise is needed. We collaborate and work with international experts on almost everything that we do in this country. In fact, we are blessed with the philosophy and teachings of a foreigner – Gautama Buddha, an Indian Prince who became enlightened, and whose teachings were conveyed to us by the son and daughter of an Indian Emperor called Asoka. You brought so many foreign experts to Sri Lanka whose names you have cited in your statement. There is no reason to deprive ourselves from continuing to learn from our brothers and sisters in the Global South, who have already dealt with the legacies of their own conflicts. Why should we slam the door, for example, on Latin American forensic experts, or South African reconciliation experts, or Tunisian fighters against corruption? Sri Lanka should continue, as you yourself have done, to engage in such cooperation and collaboration, but on our terms, and in the capacity that we decide, based on our requirements. Mahinda Rajapaksa, seemingly frustrated by his failure to grab power illegally, gives a series of instructions and finishes his statement by saying that …all members of the delegation representing the government in Geneva should clearly understand that anything short of what he says will be a betrayal of the people of Sri Lanka. By giving such a peremptory instruction, Mahinda is effectively asking the members of the delegation to determine whether they are representatives of Sri Lanka or whether they are Mahinda’s puppets; whether they follow the instructions of the government or the injunctions of the defeated Presidential candidate who failed to grab power illegally last October. • Ensure justice through our national system, in free and fraternal cooperation with experts of other nations going through similar transitions, based on our requirements. • Affirm the honor of the institutions of the army, navy and the air force, and project their professionalism including in UN peacekeeping missions, and increase their opportunities for collaboration with the best militaries in the world, by investigating allegations and prosecuting any abusethat may have taken place in accordance with the due process of the law. • Provide for those left behind – for all citizens in need – with integral reparation to rebuild their lives and strive for national development. • Forever forbid the recurrence of horrors of our past like torture, sexual violence, war and white van abductions. Nothing more and nothing less is what this government is committed to do for ALL the people of Sri Lanka. We will, in this journey, work with the international community. They will be our partners as they have always been. They will also be our witness as well as supporters of this solemn undertaking, and they will tell our story so that others too in this world can learn from Sri Lanka’s example of reconciliation. No doubt our journey has been difficult, with ups and downs, achievements and disappointments, but those who caused the trouble in the first place, have very little authority to criticize us. Those who embraced and never investigated child abductors and war criminals like Karuna, can’t tell Sri Lanka what a war hero is. Those who paralyzed the country on 26 October 2018 to send our economy into free fall cannot be allowed to continue their attempts to sabotage the progressive path of our nation. I’m sorry to be the one breaking the news, Mahinda, but someone has to say this: you do not have the authority to impose a fine on a badly parked tuk-tuk, much less give instructions to an official delegation representing Sri Lanka overseas.Your pretension to be Prime Minister in October 2018 failed several months ago. Stop trying to deny to a legally established government, the democratic authority it is endowed with. The journey toward reconciliation will continue. The people of our country are tired of pessimists and compulsive liars and fear mongers. They know that their future lies not in fear but in truth and that the economic prosperity of our nation depends on achieving sustainable peace, non-recurrence of conflict, strengthening the rule of law and democracy, and protecting and upholding the rights and dignity of all, and in working towards our goals together and in partnership with all the countries of the world and international organisations in which Sri Lanka is a member.